It's no secret that untraditional engagement rings are currently on the rise. Just take a quick look at some of the current styles that have popped up on the fingers of some of our favorite celebrities—Lady Gaga's pink diamond bauble is one great example. And while the more classic, timeless rings will always be a great option for the bride-to-be, there's no better time than now to go a slightly more unconventional route. Not sure what falls into this category? We're here to help. 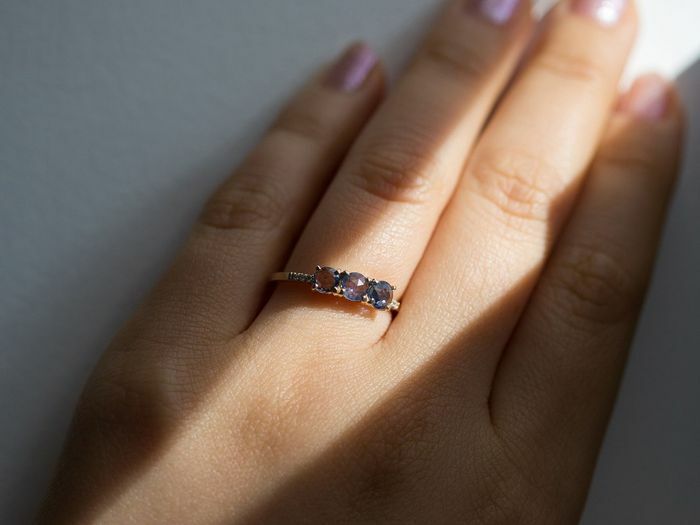 We've already rounded up the most stunningly unique black engagement rings, highlighted the ruby sparklers fit for a queen, and now, we're focusing in on the most dazzlingly beautiful sapphire engagement rings on the market. One look at these and you'll be inspired to pick the beautiful gemstone over anything else. What's more is that the Duchess of Cambridge is most famous for her blue sapphire engagement ring, so you can feel even better knowing that it is royalty-approved style, too. While sapphire is typically blue, it can also come in other pretty colors, such as yellow, pink, green, or orange—so have your pick! From the dainty to the dazzling, we've found it all in terms of the most covetable sapphire engagement ring on the market. Trust us—you're going to have a hard time choosing one. The most beautiful blue hue. A split-shank band is trending right now. A close replica of Kate Middleton's iconic engagement ring. Perfect for the minimalist bride. Give the gift of a rose. This one is sure to make a statement. Try a green sapphire engagement ring. Ward of evil with this sapphire ring. 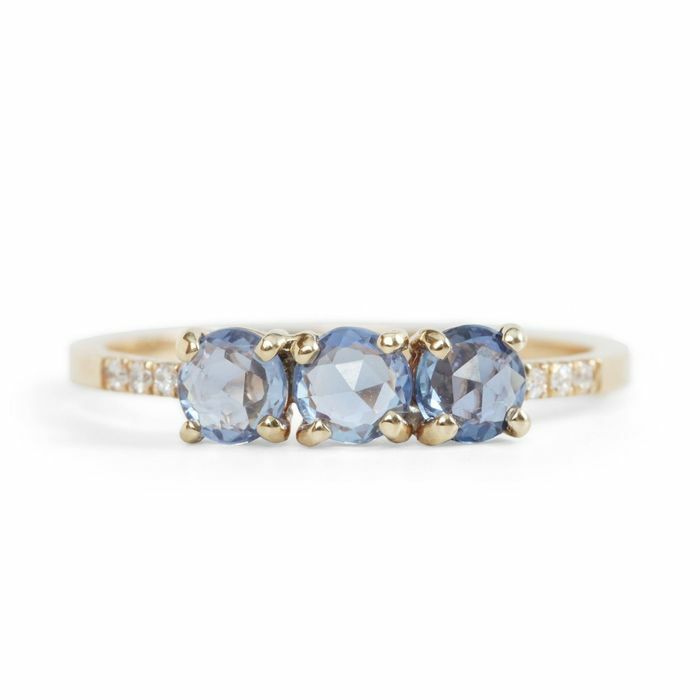 There's so much to admire about this sapphire engagement ring. We love the subtle hints of sapphire. This one's in the shape of a crown. Pretty cool, no? Next up, check out our roundup of the most stunning ruby engagement rings.